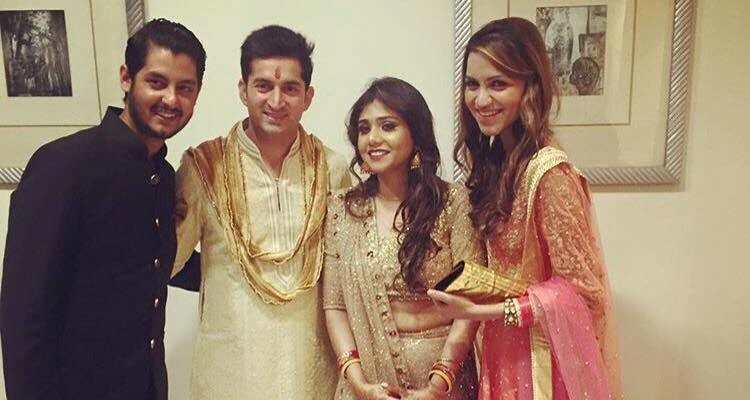 The wedding bells continue to ring for the Indian cricketers as pacer Mohit Sharma got engaged to his girlfriend Shweta on January 17, Sunday. It was a private traditional ceremony, attended only by few close friends at posh ITC Maurya hotel in Delhi. Interestingly, Mohit Sharma’s family are yet to confirm over their son’s engagement with Shweta. The 27-year-old cricketer posted pictures of himself and fiancée on Facebook. Mohit is currently not part of the Indian cricket team in series against India due to an ankle injury. Sharma is eyeing crucial comeback before the start of T20 World Cup 2016.Mohit Sharma joined the long list of Indian cricketers who have recently got hitched or engaged. The right-arm medium pacer who has been recovering from left ankle injury took the time off from cricketing commitments to take an important step in his personal life. Mohit has been in touch with Shweta, a hotel management student from Kolkata. The couple looked beautiful as they colour coordinated for the big day. While Mohit wore beige coloured kurta with stole, Shweta appeared gorgeous in cream lehenga. After a marriages filled previous year, 2016 also looks like one big wedding year in Indian cricket camp. Mohit Sharma and Shweta join most likely to wed couples Yuvraj Singh-Hazel Keech and Robin Uthappa-Sheetal Gautam. Both Yuvraj and Robin proposed their respective girlfriends on November 11. In 2015, high profile cricket weddings took place like Suresh Raina-Priyanka Chaudhary, Harbhajan Singh-Geeta Basra, Dinesh Karthik-Dipika Pallikal and Rohit Sharma-Ritika Sajdeh took place. Well, our heartiest congratulations to the lovely couples out there!